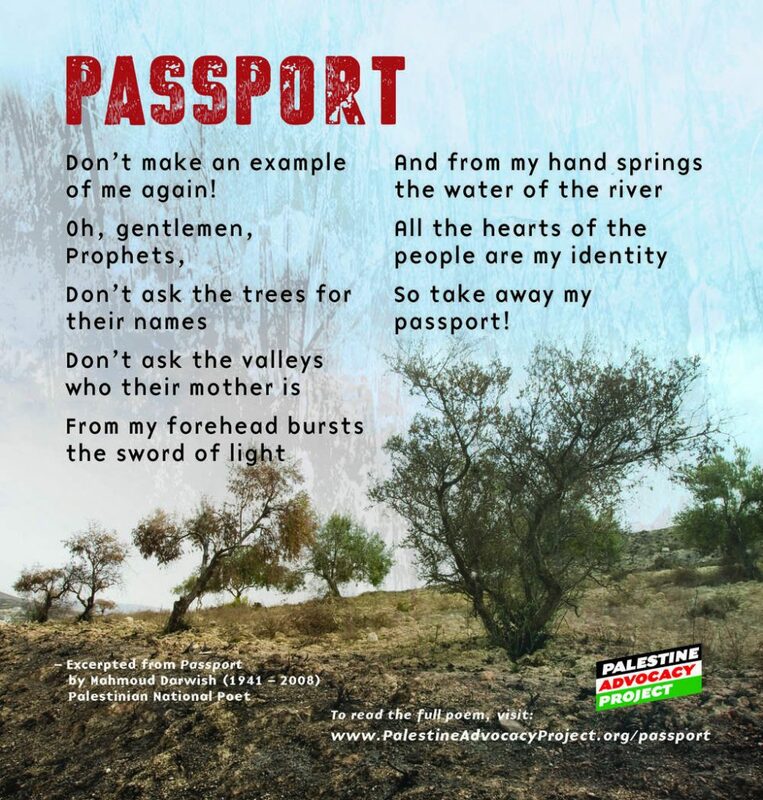 This poem, entitled ‘Passport’, highlights the Israeli government’s attempts to define Darwish’s identity and separate him from his homeland by taking away his passport. In response, Darwish draws on nature to demonstrate that his Palestinian identity does not depend on a document. In the last stanza, “Go, take my passport away from me,” Darwish concludes that his Palestinian identity cannot be defined by a piece of paper.